Whenever you make a search on Google or any other search engine, you see various results containing a title with some 2 lines of content. Yes, that little content is known as “Meta Description”. And every webpage should have one and unique. If you own a website, then meta-tags must matter to you. Because a user always reads meta description on search results before opening it. So, we can say that, this meta-tag is the website’s final try to get your attention and finalize the deal. This is a very important factor which most of the digital marketers ignore and failed to get traffic even have the good ranking. So, it is also true that blank meta description could mean lost viewers, forgotten leads, and less traffic. Fortunately, inserting meta tag is very easy. 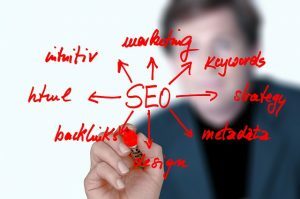 Writing the best description that helps you from the SEO point of view is the tougher part, but with the practice, this tough portion becomes easy. What is actually a Meta Description? These are used for two purposes. First, they describe the contents of a web page to the user and crawler, and second these help in convincing and persuading that user to open the website. If you search anything on Google, you will see, the words that match the search query becomes bold in the description. This content is your site’s last attempt to close the deal with the user. It is the most vital component to enhance click-through rates from the organic search. To learn the calculation of click-through rates you can go to https://en.wikipedia.org/wiki/Click-through_rate. The information written within the tag is a major tool that searchers use to choose which result will be the most accommodating, important, and legitimate. They are likewise important for web crawlers. By crawling this content, search engines show relevant results. Although, there are many factors that help search engines to decide the ranking of a page, many SEO experts believe that meta-description is one of them. Sometimes, Meta descriptions may not straightforwardly profit SEO, but click-through rates do, and meta descriptions help get clicks. The more visitors that tap on your web link, the better the webpage will perform in search results. Go to your webpage’s HTML and look at the head section. You can write that crucial content as per the syntax given below. If you are using WordPress for developing your website, then it becomes very easy to insert this information. You get a cluster of few words to grab someone’s attention and encourage him to click. Addition of Each word in meta content must produce an impact while containing the factual accuracy to meet goals. It might take practice but the work done would be beneficial for your website. But, metaphorically these changes are easy to be done. If the results are not up to your expectation, it is very easy to edit it with a new meta description in HTML code. If your site has many web pages, and you are getting confused about where to start, you should always give priority to your homepage and some other most important pages, like your blog page, product or service page and about page. What should your little content possess? You just need to keep in mind that each and every word in your meta description is important, as you have only two to three sentences to grab the attention of the users to click. 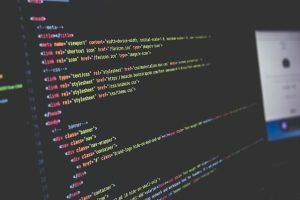 Use your meta description in such a manner that it should help you to connect with your target audience. Use relevant language that will appeal to them and be specific about what your website provides. Great content possesses present-tense with actionable language. Your meta content should read no differently. Your meta description must describe exactly what will happen when a user will click on your link. Give the searcher an exact idea of what resides behind the link. You can start with words like “Find,” “Learn,” “Get,” or “Read” so the searcher has a clear picture of what your website gives. This may also encourage the user to read more other than his original query. If you think about why do people searches on the internet. You will get the answer that they want to research, learn, buy, or read something. Your description should deliver the “Yesssss, I found it!” moment for a seeker. You should think few questions before writing anything, How can a website provide them what they are searching for? How do they get the benefit by clicking on your weblink? Use your tiny content snippet to answer these questions. This information becomes even more valuable when you are competing with other big websites. While your meta descriptions might not directly affect your SEO, they assume a colossal part in clarifying your site’s page content and collecting click-throughs. Adding and editing them is easy, although writing them is little difficult. Give it the importance as you give to your whole website, and the amount of the traffic will thank you in return. Consider reading our article HOW CAN YOU CONVERT A NORMAL WEBSITE INTO A SEO FRIENDLY SITE? for more info.